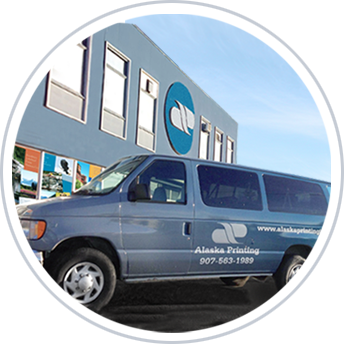 WELCOME TO ALASKA PRINTING, INC.
Alaska Printing, Inc. is proud to be one of Alaska’s oldest and most continuously owned and family operated printing companies. The staff of Alaska Printing seeks to offer the highest quality printing to all segments of the Alaska business community - right here in the state, giving you personalized service without long delays or exorbitant costs. Some of the most popular requested services at Alaska Printing include letterhead, business cards, security envelopes, banners, annual reports, newsletters, bulk mailings and all types of forms throughout the greater Alaskan community. We welcome you to call us at (907) 563-1989 or simply request a quote for any of the services we provide.